2019. Online application link will be active from 29-01-2019 and last date to apply online is 11-02-2019 for this SPP Hyd vacancy. Official website to apply online is http://spphyderabad.spmcil.com. Candidates selection will be based on written exam for this SPP Hyderabad Recruitment of Supervisor, Jr Technician and Fireman Jobs. Exam will be online only. Exam center is Hyderabad only. Security Printing Press Hyderabad Recruitment of Jr Technician, Fireman and Supervisor Jobs. There are total 38 posts are in this Security Printing Press Recruitment of various posts. For OBC candidates 3 years and for SC/ST candidates 5 years of age relaxation will be given. 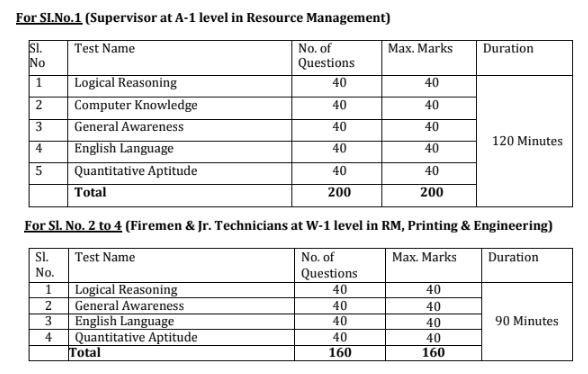 Candidates selection will be through written exam for this Security Printing Press Hyderabad Recruitment 2019. Apply online for this SPP Hyderabad Recruitment of Supervisor, Fireman, Jr technician posts. Online form submission last date is 11-02-2019. Official website to apply online is http://spphyderabad.spmcil.com.